Houses & Homes VA: Do You Know Just How Dangerous Mold Can Be? Do You Know Just How Dangerous Mold Can Be? I can remember when I was a child going into the basement and seeing some mold at the bottom of the wall in one of the corners. I told my mom about it and she said “Just don’t touch it”. Things have changed a lot since then and today many people take mold more seriously. The truth is that mold is extremely toxic and can even be lethal. To make matters worse many homeowner’s don’t even realize that they have a problem. A recent study has shown that as many as 25% of homes may have mold and perhaps even more startling it is estimated that up to 40% of schools in the U.S. may also be infected. 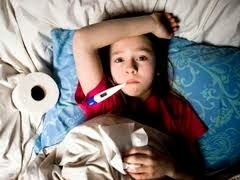 To make matters worse it is possible to suffer from mold related illness and not even know it. Contrary to popular belief you can’t always smell mold when it’s present and will never realize what it is that has made you so sick. Mold related illnesses include bronchitis, respiratory infections, shortness of breath (the most common ailment), childhood asthma and believe it or not, even depression. The poison substances produced by mold are known as mycotoxins and amazingly they can be more toxic than pesticides. That’s just scary. Mycotoxins can affect any and all organs in the body and in the more severe cases can affect the nervous system in a way that resembles radiation poisoning. Convulsions can occur as a result and marked changes in behavior are also a possible side effect. Here’s something you didn’t know; you don’t need to breathe mold spores into your body to become infected, they can actually enter through the skin or even the eyes. The bottom line is that just being around mold is dangerous and just one more pleasant thought; mold can actually damage your DNA. Moisture is the warning sign that you probably have mold but thankfully there are steps that you can take to eliminate this very serious threat. You should regularly inspect the damp areas of your home for signs of mold and that doesn’t mean just the basement. A laundry room or bathroom are perfect breeding grounds for mold and even the laundry room is a possibility. Be sure to check behind appliances such as refrigerators, washing machines and dishwaters and if you find it bleach is the perfect solution. It’s vital to wear gloves AND a mask before tackling the problem. To help prevent the problem it’s a good idea to open the windows on nice days and let the fresh air in. Make sure that air filters in the home including HVAC systems, air conditioners and heating vents are cleaned or replaced regularly and allowing the sun to enter your home will also help. Finally, if you discover a serious outbreak of mold that has taken hold in drywall or other non-movable objects it might be best to call your local mold abatement company for professional assistance.